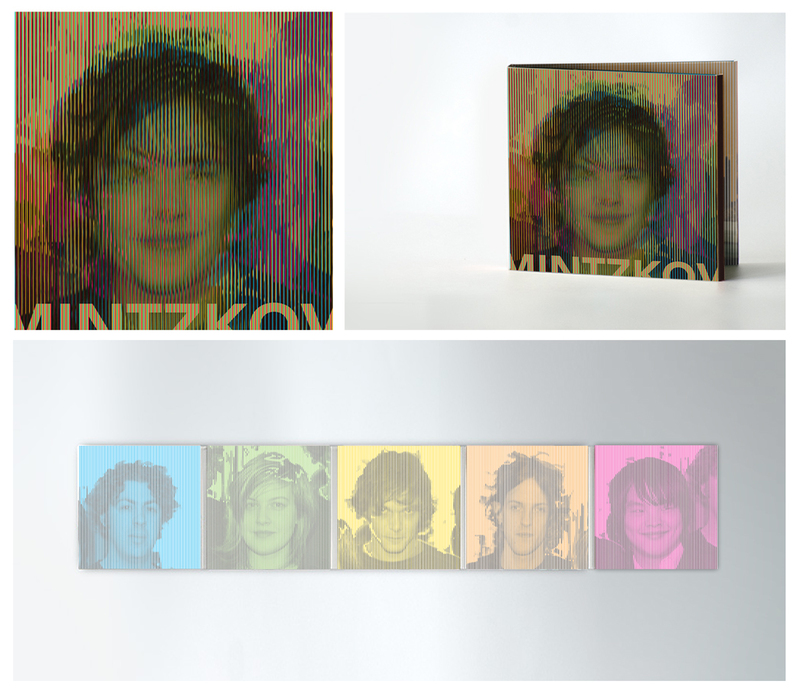 Mintzkov asked a proposal to use photo’s of the band members, so the fans could see what they look like. I made a modern collage of all the members together: so you have one new person. The portrait picture is made out of mono colored bars I placed together. As insert you saw every member apart. It’s funny: when you see the cover you always recognize someone else first.